$15 off $100+ Porter-Cable orders. 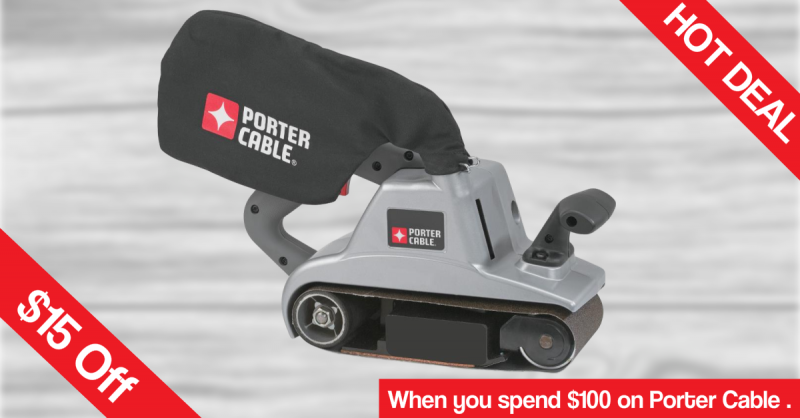 Now through June 18, 2017, get $15 off select $100 Porter-Cable orders from ACME Tools. The deal is limited to select Porter-Cable products. While the offer is only good on select Porter-Cable items, it looks like a wide variety of items are eligible; everything from air compressors to cordless tools, and even some accessories.